Your angels and your guides frequently give signs and symbols in order to help you along your paths of enlightenment and good. Animals are around all of us each day a either as the living, breathing types or through pictures and songs. 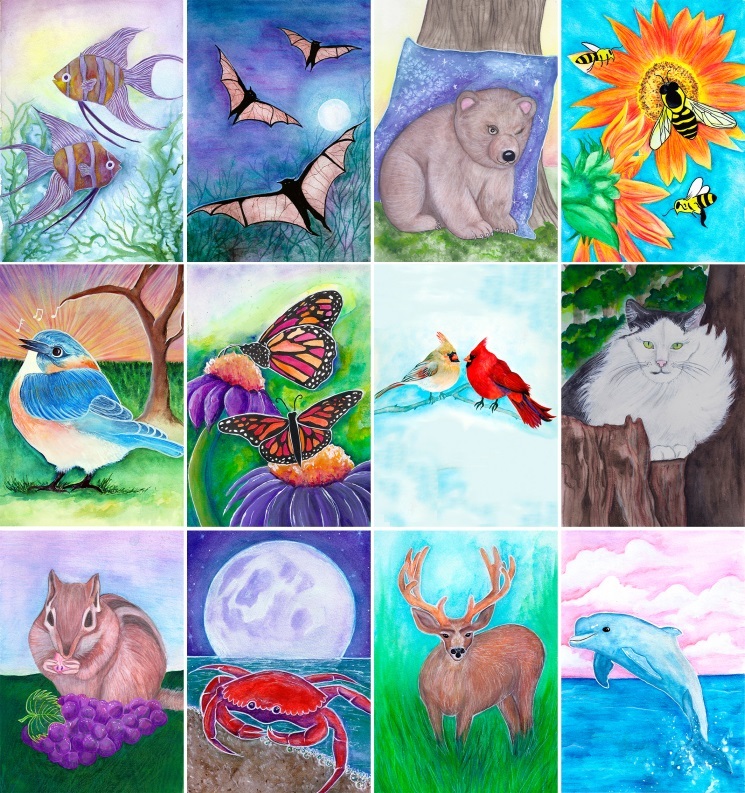 Spirit invites you to perceive that animals have an energy you can use to find your true passageway through these 44 stunning Higher Intuition cards. Once there, the messages they send help you create your best life. Complications and annoyances can sometimes obscure the clarity of the big picture; however, through the cards you will learn to see and gain "higher intuition." 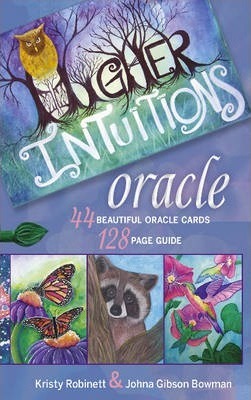 The accompanying book includes detailed, positive messages and art that provide you with helpful ideas and divination spreads. With simplistic beauty and a touch of whimsy, Higher Intuitions Oracle helps to clear the cobwebs of indecision in order to take the necessary steps forward.